The Gang’s all here | RV There Yet? 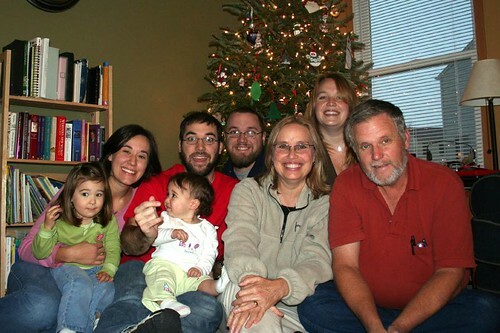 Well, the gang’s not here in Texas, but here is the “official” family picture from our Wonderful Christmas…. A little goofy, but then again, aren’t we all! Previous PostA Major BreakthroughNext PostAre we really this far away?? You all look like you had a great year! Everyone looks great in that picture! What a beautiful family you have! So, Texas? Hot? We miss you here in Doylestown! When’s the visit to the west coast? Let me know where you all are going and when to expect you back! We miss you but are thankful for what you’re doing! You are missed but loved! Georgi, Troy, and the other (gran)kids.